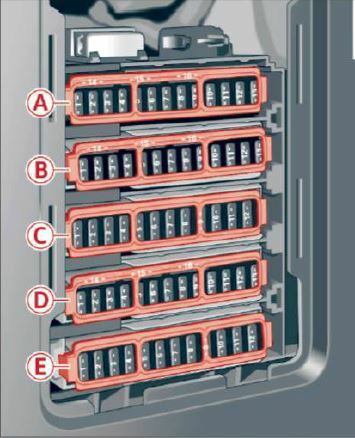 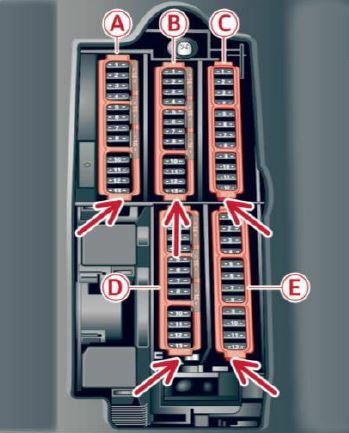 The Audi A5 F5, Audi A5 F5 Cabrio and Audi A5 F5 Sportback (2016 – ) have 4 fuse boxes location. 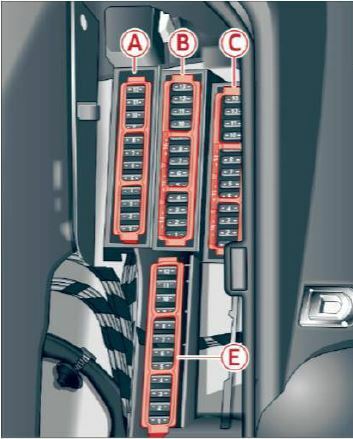 Two on the driver’s and passenger footwell under the footrest, other on dashboard driver side and one in the lugage compartment – Scroll down to see how to access them and the fuses list. 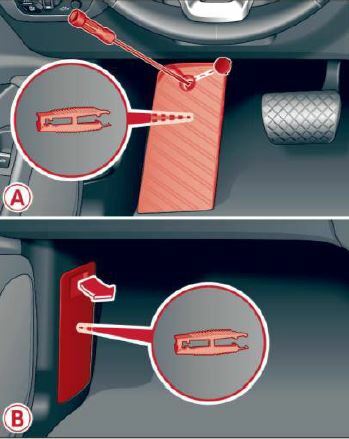 To access the fuse box located on footwell under the footrest (left-hand drive vehicle) or behind a cover (right-hand drive vehicle), remove the footrest or the corresponding cover, remove the clip from the rear side of the footrest A or the cover B. Reattach the footrest or the cover. 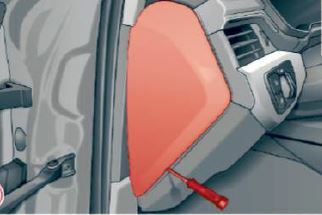 To access the fuse box located on the driver’s side of the dashboard, open the driver’s door and remove the fuse cover off the instrument panel using the ignition key or a screwdriver. 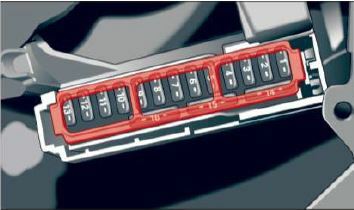 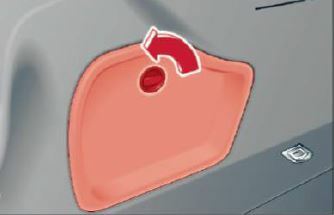 To access the fuse box located on the luggage compartment you should remove the left side trunk trim and open the fuse cover. 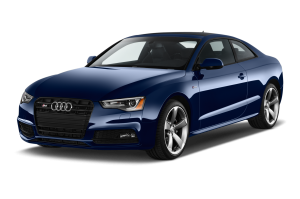 2016, 2017 and 2018 – Audi A5 F5 Petrol (1.4 and 2.0 TFSI, S5), Diesel (2.0 and 3.0 TDI) and 2.0 TFSI MHEV Engines.